Over 2000 years ago the Romans introduced the world to pubs. Except, they weren’t called pubs, they were called Tabernae’s. Sadly, when the Romans left, so did said Tabernae’s, and we had to wait until 700AD for Alehouses to make a comeback. Fast forward some more, and it was in the year 1830 that beer was actually declared medicinal. Though this is largely due to the fact that beer was cleaner than most of the water people had at home. So by 1870, with the help of the industrial revolution, for every 1 person, there were 116 pubs. Fast forward just a little more, and here stands The Cat’s Back. With an attitude towards our locals that always makes me think of the ‘Cheers’ theme tune. There is a reason people choose to come in and buy a drink from the bar, rather than from the off license round the corner from their house. Because alcohol, drinking, even the music- it can all be replicated. But if that were really the case, all pubs would be closing down, and our doors would be shut for good. But thankfully that is not the case, because what can’t be replicated, is everything else- it is every little thing, that makes all the difference. Like the feeling of content that flows through you when you step out of the cold, into the warm and see an old friend at the bar. It is the smell of a wood burning fire that lingers in the air. Not so much that it feels like there is nothing else, but just enough to make you feel nostalgic about something. 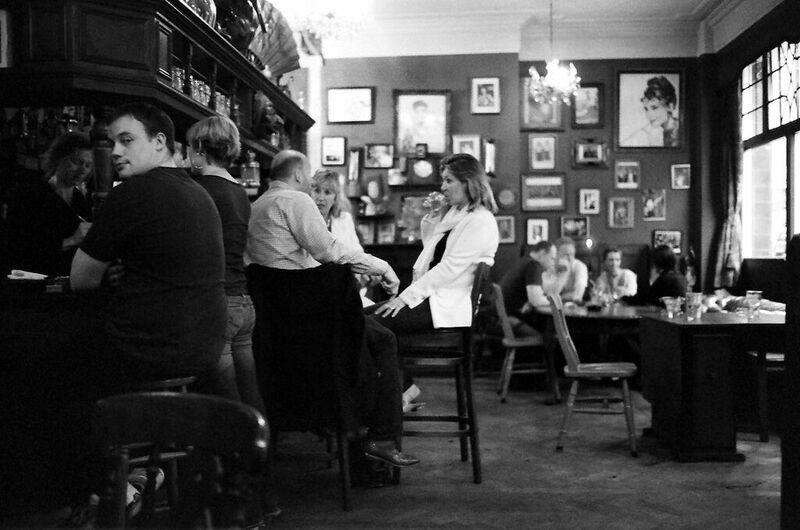 There are conversations to be had in a pub that you wouldn’t have anywhere else, and it is knowing you’ve entered a pub alone, but will soon be sat amongst friends. Because the nights spent in a good pub, are like how good summers tend to be, heavy with sentiment and almost out of reach. So as we did 2000 years ago, in 2000 years time we’ll still be stumbling in and out of pubs. Though the drinks will change, and the people too- I’m not sure we’ll ever grow tired of the feeling that comes with having your first sip at the bar of a pub you’ve come to love, as if it was your own.